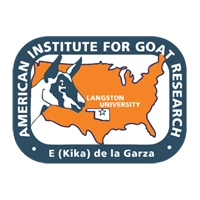 In 2006, Langston University (Oklahoma, USA) unveiled an on-line training and certification program for meat goat producers (http://www2.luresext.edu/training/qa.html). The program consists of 22 learning modules, including herd health, biosecurity and internal parasite control. In March 2010, an electronic survey was sent to 160 certified producers to assess impact of the training. Fifty-four surveys were completed for a response rate of 33.7%. Prior to certification, 52.8% of respondents used selective deworming criteria. Current deworming practices and percentage of responses include: FAMACHA, 43; visual condition, 28; pasture rotation-based, 15; and calendar-based, 14 (χ2 = 19.02, P < 0.001). When asked if individual animals or all animals in a pasture or pen received anthelmintic when deworming, 76% of respondents said that only animals requiring deworming received anthelmintic (χ2 = 14.52, P < 0.001). The dosage of dewormer given was most often calculated based upon table guidelines given in the certification course (54%), vs. 35% who relied on veterinarian instructions and 11% who self-determined dosage amounts (χ2 = 18.22, P < 0.001). Over 60% of respondents reported that prior to becoming certified they did not consult a veterinarian for use of drugs extra label. When asked how current withdrawal times for drugs not approved for goats are determined, 41% of responses reported using veterinarian instructions with an identical percentage using table guidelines from the certification course; with 19% of responses using information from the Internet (χ2 = 7.32, P < 0.03). Results of the survey show changes in behavior of certified goat producers when compared with previous practices in anthelmintic usage. More emphasis on the importance of veterinarian approval for lawful use of extra-label drug is needed. Changes in production practices noted imply that an on-line training course can be effective in promoting proper herd health practices for goat producers.